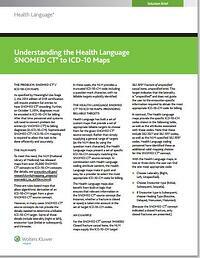 Are you trying to understand how to bridge the gap between SNOMED CT and ICD-10 CM? You’ll need sophisticated mapping to allow this task to be done efficiently and accurately. Fill out the form on the right to download this white paper.